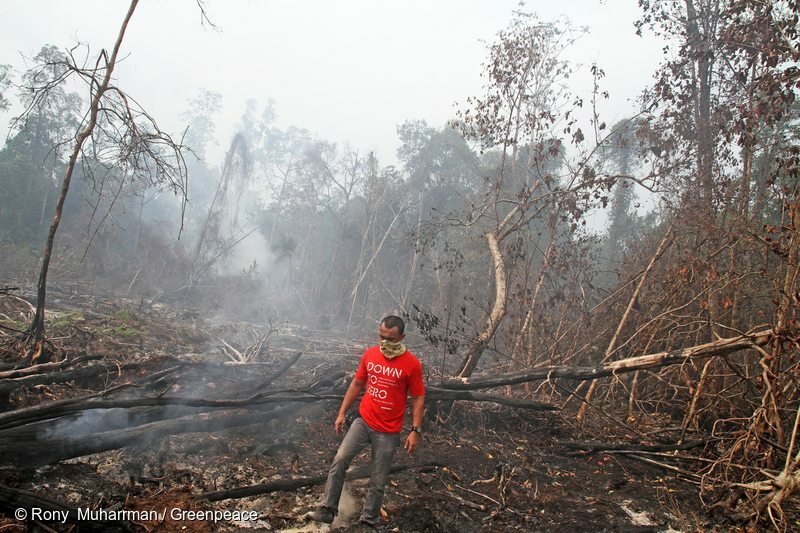 A Greenpeace activist bears witness to continuing fires in peat forests covered by a forest moratorium. Sumber Jaya Village, District Siak Kecil, Bengkalis, Riau Province, Indonesia. The biggest forest fires of the century tore through Indonesia just six months ago. 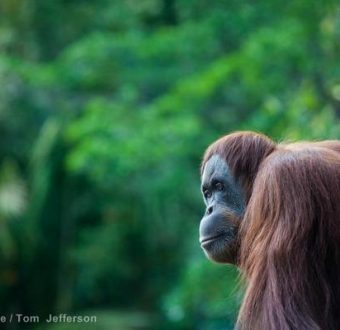 They reduced millions of hectares of of vibrant, living tropical rainforest and peatland to smoking ash — and with it, some of the last habitat of Indonesian orangutans. A forest fire in Indonesia may seem like a far away issue, but for the past ten years, our investigations have exposed how the everyday products in our cupboards and on our bathroom shelves have direct links to the destruction of Indonesia’s rainforests. 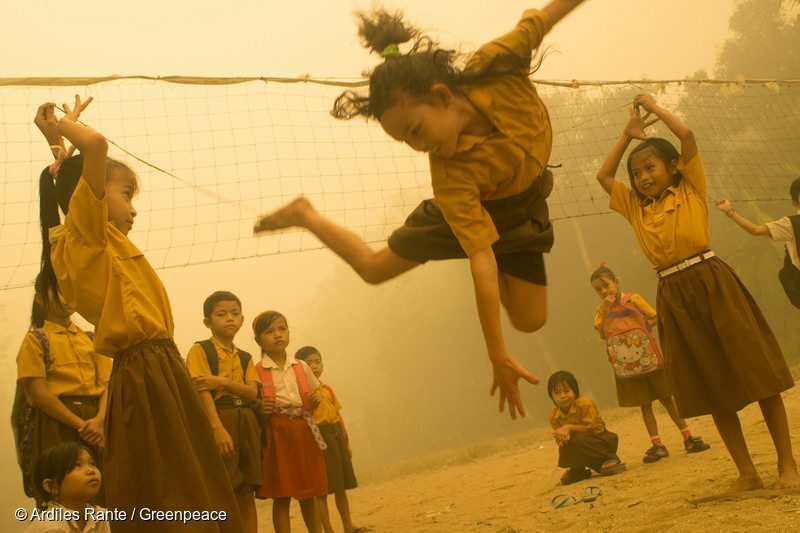 Despite the haze, children in Central Kalimantan continue to play without any protection. 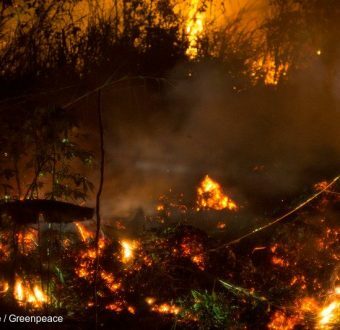 Indonesian forest fires impact the health of millions, causing heart and lung problems, and weakening newborn babies. For the average person, being a part of the solution isn’t as simple as making a few changes to your shopping habits. From Doritos to Colgate to Johnson & Johnson baby soap, palm oil is in so many products that it’s hard to avoid. Even if you could, palm oil isn’t the problem — deforestation is the problem, and that will only stop when corporations take responsibility for the palm oil they buy. 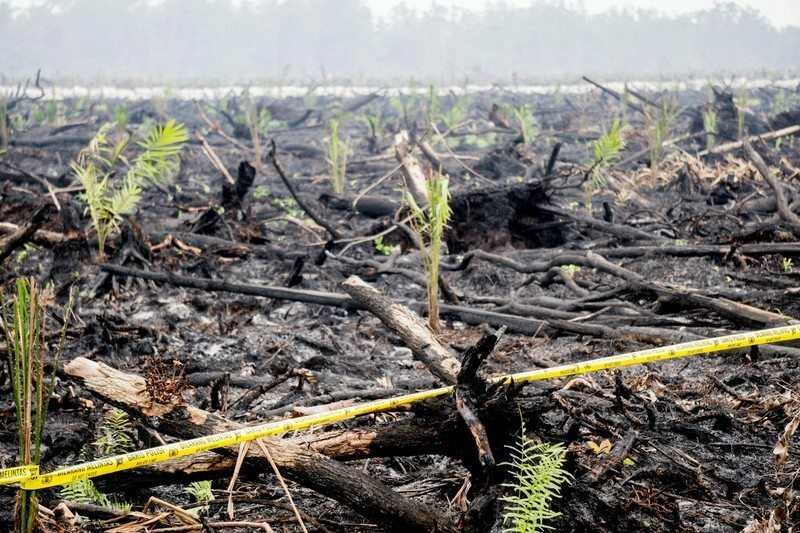 A crime scene: burned peatland and forest remains, planted with oil palm seedlings. So when hundreds of thousands of Greenpeace supporters took action, they took the fight straight to the companies responsible. 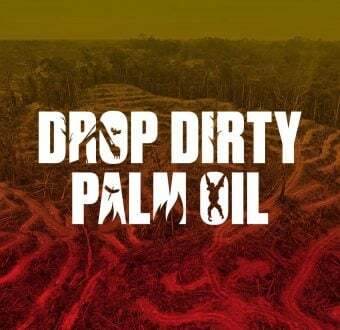 Using the power of mass pressure, one by one we began forcing the biggest brands that use palm oil or paper from Indonesia to promise to protect rainforests. Then, a breakthrough. Two years ago, a host of massive brands — including Mars, Mondelez and Procter & Gamble committed to our campaign. Suddenly the biggest brands on the planet were all saying the same thing — that the destruction of these amazing forests had to stop. And that’s not the end of the good news! This kind of collective action from corporations — with their immense purchasing power — puts huge pressure on traders and producers working directly on the ground. Companies like Wilmar International and Golden Agri Resources may not be household names, but they’re giants in the industry. 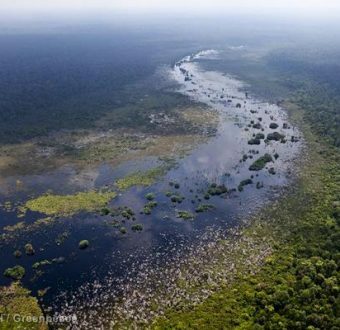 And because of this they agree to end deforestation — an incredible result! 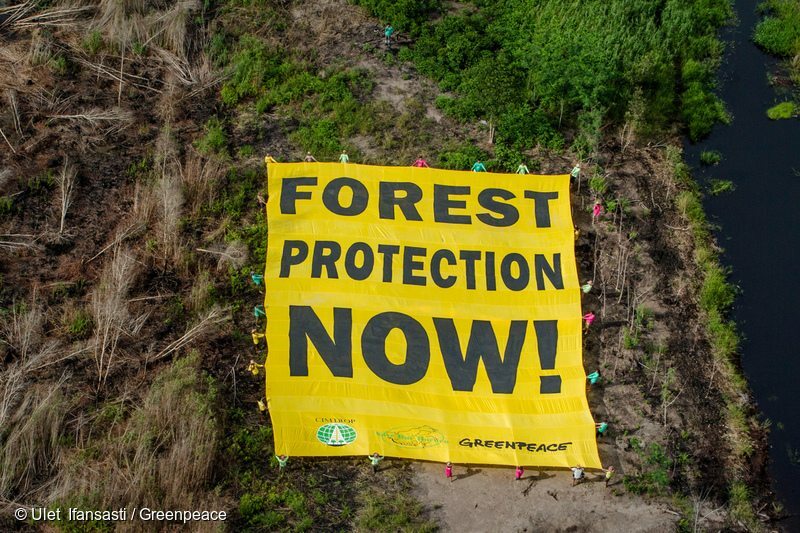 Environmental activists unfurl a banner in an area affected by forest fires in Central Kalimantan. Now, the best part of a successful campaign like that is getting to see the real results: Protected forest, healthy orangutans, and an end to rampant deforestation and forest fires. That’s why we have to make sure the companies are keeping their promises. So last December Greenpeace contacted 14 massive companies to find out how they were getting on with their commitments. What we found was a bit alarming. Only a few companies are making significant headway towards ensuring that there is no deforestation in their palm oil supply chains, and most are moving far too slowly. It turns out, some companies might think that making a promise is easy — and that no one’s going to notice if they don’t keep it. 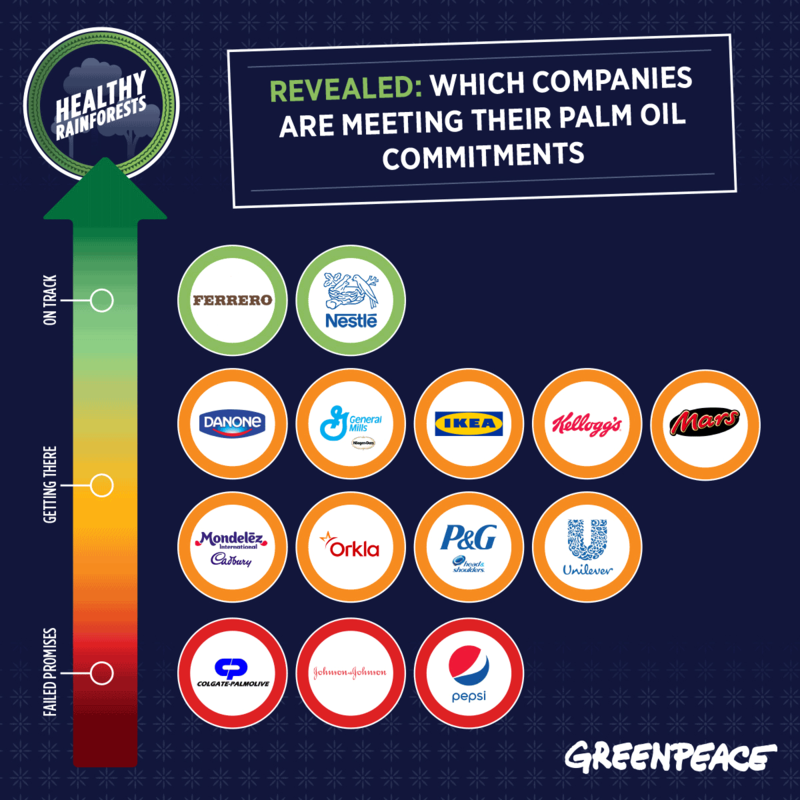 Out of all the companies we surveyed, Colgate-Palmolive, Johnson & Johnson and PepsiCo show the poorest performance and are failing to keep the ‘no deforestation’ promises they made to their customers. Tell them to up their game now. The truth is, we can’t afford to wait. Unbelievably, deforestation rates in Indonesia are actually increasing, instead of decreasing. And those huge fires from six months ago? They’re due to return in just a few months. 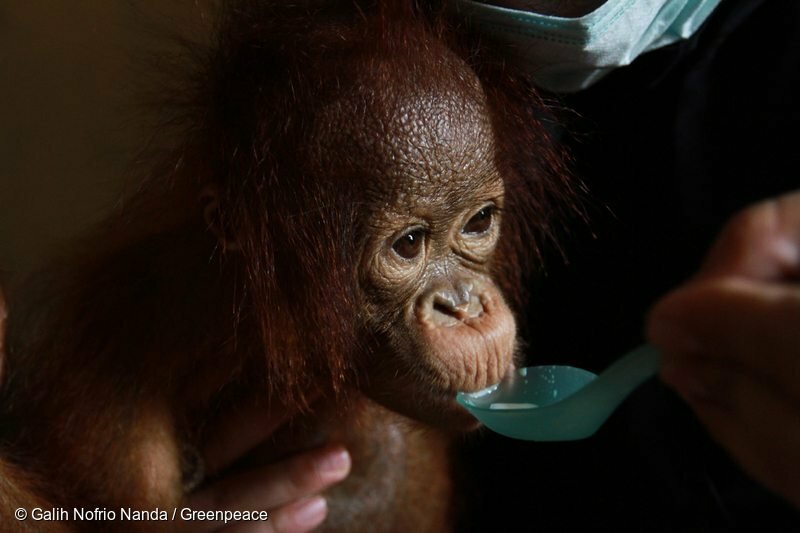 The palm oil industry is still a leading cause of all this destruction. And what’s even more frustrating is that palm oil can be produced responsibly. One amazing project we’ve been working with is a community in Dosan, Sumatra that is producing palm oil and protecting and restoring the surrounding rainforest. And there are lots of other schemes like this in Indonesia that need support. It’s so important that these companies step up and deliver. Everyone knows what needs to happen, and how — so don’t let them get away with empty promises. Demand real change and real action on the ground. The clearing of Indonesian peat for paper and palm oil is leading to huge environmental and social problems. Here's what's up.